Creating your custom decal has never been easier. Here at Axcel Fast Graphics we can take your concepts and turn them into a reality. We use the finest quality inks and materials to create lasting and durable custom decals. We offer a wide selection of options for racers looking for a more professional look or something a bit more “extreme”. 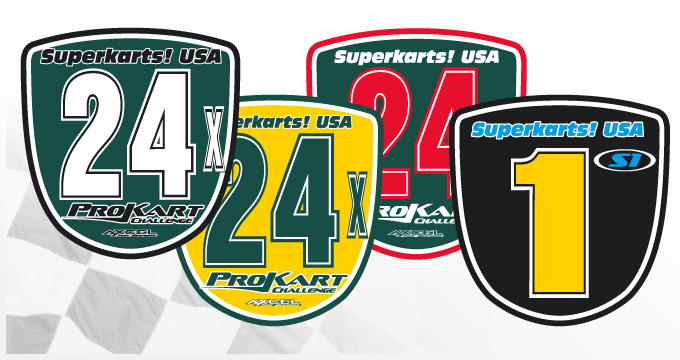 We offer Custom name plates for karts, custom visor strips for auto helmets, and official SKUSA ProKart number plates. Whether you’re looking to create short-term traditional stickers (single use) or produce longer lasting more durable decals that are resistant to weather Axcel Fast Graphics has you covered.